Twelfth House Lord in the Eighth House/12th House Lord in 8th House. Today, 12th house lord sitting in 8th house. Now, what does it mean to have 12th house lord sitting in 8th house? It means the planet which rules/controls/owns the 12th house of your horoscope is sitting in the 8th house of horoscope. Now, what is the impact of having 12th house lord sitting in 8th house? It is a basic planetary placement of a very secretive person as 12th house and 8th house are related to secrets and hidden things. This persons hidden talents and creative imagination may be in the field of Occult and Mysticism. He might spend a lot of time in research work related to other dimensional world. They might be interested in mysteries of Universe and Galaxy. It shows that marriage benefits or in-laws are from Foreign Lands. With malefic planets in wrong dignity, it shows that person will suffer losses due to in-laws or vice-versa. It also shows that person may get into accidents and things like that which may result in his losses or expenses. One thing is sure here that predictions about timing of events are very tough here as both houses are related with Secrecy and Unpredictability. Anything can come up here from matters related to 8th house and 12th house. Now, results may be different due to aspect, conjunctions of other planets or the planet being Retrograde or Combust. Moreover, now we also need to check the strength of 8th house lord as 12th house lord is going in 8th house. So again, Overall Chart Reading is important. So, let's see how different planets will behave differently as 12th house Lord in 8th house. Sun - Suppose it is a Virgo Ascendant chart and Sun rules the 12th house with Leo sign and sits in the 8th house in the sign of Aries, where it is exalted. Although Sun doesn't like to be in 8th house as ego & confidence gets smashed by continuous changes in life but as it is exalted here, it shows that in the end person will be able to overcome with all the sudden events and those events will end up in benefiting him. Here, person's ego and confidence actually develops as he deals with sudden events and changes. It definitely shows someone working for Govt in Secret or Spy related work and serves in Foreign Lands. It makes a person a very strong soul. Here, Father of person may have gone through similar changes in life. Moon - So it is Leo Ascendant Chart and Moon rules the 12th house with Cancer sign and sits in 8th house in Pisces. Although, Moon's marana karaka position is in 8th house but Moon is here in friendly sign of Pisces. As it is a sign of Spirituality, it shows that mind finds its peace and interests in Occult and Mystic matters which then helps them realize their Spirituality. They understand Spirituality through Occult. The more they research about Occult, better they will feel mentally. It also shows that person is spiritually connected with Marriage and In-laws. Taurus Ascendant - So if it is Taurus Ascendant, Mars rules 12th & 7th house and sits in 8th house in Sagittarius sign. This shows that person will be dominant and strong-willed to unlock the mysteries of Occult, Mysticism and Higher Knowledge. At the same time, it can make person adamant about his Occult or Higher Beliefs. It means whatever beliefs they get after their research, they will stand-by those and won't let others' beliefs impact themselves. It also shows a strong-willed person who goes through all the changes in life to gain strength. They take changes in life as their lessons and learning in life. They will work like a protector to their marriage and in-laws. Sagittarius Ascendant - Now if it is Sagittarius Ascendant, Mars rules 5th & 12th house and sits in 8th house in Cancer sign, where it is debilitated. Here, if Mars is nearby its exact debilitation degree, it can cause serious problems. It will show person may have to incur losses due to sudden events and accidents. It also shows that loss is coming to Marriage, Joint Assets or in-laws. The basic problem with Mars debilitation is that person knows to fight, but he doesn't know how to fight. At times, it can also indicate physical abuse of person or by person. Native should be careful about it. Cancer Ascendant - If it is Cancer Ascendant, Mercury rules 12th & 3rd houses and sits in 8th house in Aquarius. This shows a person who loves to collect lots of secret information and then communicates about it. It also shows someone working in Communication and Counselling fields in MNCs. They love to counsel people going through turmoil in their lives through Spiritual or Occult ways. They use their communications and counselling skills to make this world a better place. Libra Ascendant - If it is Libra Ascendant, then Mercury rules 9th and 12th house and sits in 8th house in Taurus. This again shows similar results. Additionally, as Taurus is sign of wealth, it shows someone in banking, insurance sector and earning wealth from there. They can also be in Share Markets. It also shows wealth through inheritance. One thing is sure that if person goes through Mercury MD or AD, his beliefs will suddenly change. Person will still be interested about Occult and Mystic World. Gemini Ascendant - If it is Gemini Ascendant, Venus rules 12th & 5th house and sits in 8th house in Capricorn sign. This shows a natural love towards Occult and Mysticism. It also shows someone having a secret love affair about which none knows. It also shows that person's love life goes through some big changes. Person may have a secret source of wealth. Their service in the field of Occult, Mysticism and Secrecy can bring them Authority. As Capricorn is sign of Govt and Authority, it clearly shows someone in secret services. They may like to keep their finances very secret. But as Capricorn is ruled by Saturn, so results may be delayed here. Scorpio Ascendant - If it is Scorpio Ascendant, Venus rules 7th & 12th house and sits in 8th house in Gemini. This shows someone who loves to communicate about Occult, Mysticism and Secret Matters with other people and especially Spouse. It can be a person who is into Business of Occult as Venus rules 7th house also and sits in the sign of Gemini which is sign of Counselling and Communication. Other results will be similar as above but intensity will be higher as Gemini is ruled by Mercury. Capricorn Ascendant - If it is Capricorn Ascendant, Jupiter rules 12th & 3rd house and sits in 8th house in Leo Sign. This is another position where person can become a counselor in Occult Field. Not only because Jupiter is karaka of teaching/counselling but it also rules 3rd house of counselling here. 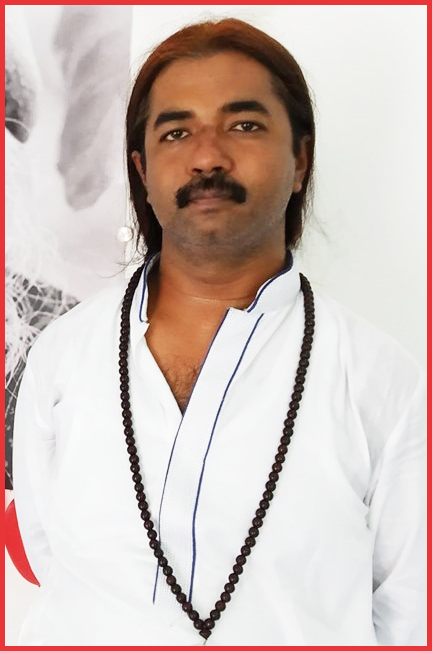 This person will bring his higher philosophical and spiritual knowledge in field of occult and serve people. As Leo is sign of Royal-ness, they will get their Kingliness by serving people in matters of religion, spirituality and occult. This person gains from in-laws and remains a guide to partner and in-laws. Marriage benefits and benefits from people expand with time. They can also be teacher in the field of occult and mysticism. Aries Ascendant - If it is Aries Ascendant, Jupiter rules 9th & 12th house and sits in 8th house in Scorpio. All the results given above will apply here as is with added intensity as Scorpio adds to the flavor of 8th house. Scorpio and 8th house are similar energies, hence Jupiter is double impacted here with Occult, Mysticism and Secrecy. So, all the above results will be multiplied in intensity. A master occultist. They will know about all occult sciences, i.e. Astrology, Numerology, Palmistry, Tarrot, Tantra, Black Magic etc. They will know all. Jupiter will expand their occult knowledge. Again, person going through Jupiter MD or AD will see a sudden change in beliefs. In either sign (Aquarius/Capricorn) as 12th house lord, Saturn in 8th house (for Pisces/Aquarius Ascendants respectively) surely indicates someone who has a very long life. Occult related information will come to them slowly but surely. Likewise, relations with in-laws are stressful to start with but slowly improve and get much better after mid-30s. Joint Assets with spouse also will improve gradually. These people can be working in Govt or Law related field, or in works related to Petrol, Iron etc, in which they have to serve people facing sudden events. Additionally, any work related with mining is good for them. For Pisces Ascendant, Saturn will be exalted, which will relieve the restrictive impacts of Saturn a little bit but not much. Rahu - If Rahu is 12th house Lord through its sign Aquarius, as it co-rules Aquarius along with Saturn, and sits in 8th house in Libra then 1st of all we need to make sure of Saturn's position as it is the main ruler. Rahu in Libra in 8th house will transform Rahu as Venus as Rahu changes its nature as per the lord of sign it is placed in. At the same time, Rahu's basic nature of being insatiable will remain there. Rahu in Libra in 8th house basically shows a person who has to go through lots of transformation in life. It shows a person obsessed about Occult Related Subjects. They will know all, Astrology, Numerology, Tarot, Tantra, Black Magic etc. Perfect Occultist. Career-wise, they may be working for social welfare by helping people who are under stress or turmoil. Earning and Gains in life goes through real turmoil, specially if person goes through Rahu MD in early life. It also shows unusual marriage benefits or weird relations with in-laws. Rahu in Libra always indicates a person who seeks a perfect relationship. In such cases, they may go through many relationships and in the end may decide, not to marry as they don't find that perfect relationship. Ketu - Likewise, If Ketu is 12th house Lord through its sign Scorpio, as it co-rules Scorpio along with Mars, and sits in 8th house in Cancer then 1st of all we need to make sure of Mars' position as it is the main ruler. Here Ketu becomes peaceful and starts exploring the world of occult. Although, it may not give good relation with in-laws but the person becomes research oriented in occult and mysticism related matters and may become an excellent Occultist. This is one of Moksha Margi position. This gives great intuition. Ketu in Cancer means person may have some issues related with Mother and emotions. They can be emotionless too. But it also shows that person serves people, through his occult knowledge, who are going through emotional turmoil in their lives.